I came upon Her Campus as a lost but ambitious first-year college student. I was a declared psychology major, but had no interest in pursuing psychology beyond my years at school. My only campus involvement was with the school's small Jewish Student Union, which only met once a month. I'd just started this blog on a whim, but had no idea what I wanted to do with it. I felt like I was wandering, directionless, through life. I wanted– no, needed– something to define myself. I've always loved writing, having decided to become a writer as soon as I could do so. I wrote stories and poetry in middle school, was a newspaper and yearbook editor in high school, and wrote a novel during my year abroad in Spain. Writing had been something I'd used to define myself throughout most of my life, but I simply wasn't doing enough of it my first year of college to still think of myself as a writer. When my friend Bridget told me about a new club on campus that she thought I'd be interested in, I immediately asked for her to forward me any information she had on it. 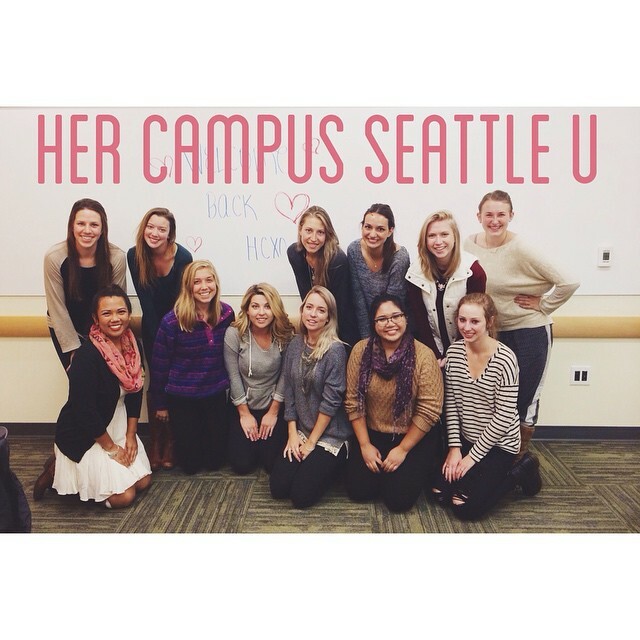 She sent me the introduction email she'd received from the newly formed chapter of Her Campus at Seattle University, and I went to my first meeting with high hopes. Unlike most things in life, my experience with Her Campus has exceeded the high hopes I had for it when I first started. I went in knowing the bare minimum about Her Campus: that it is an online magazine for student writers to create and publish original content on. I quickly learned that it's so much more. 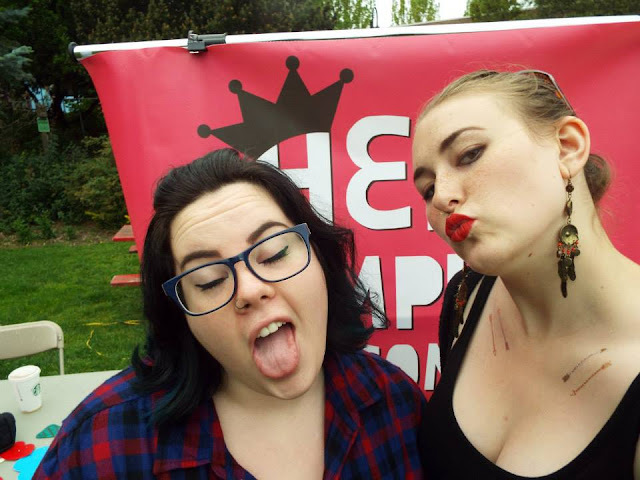 Her Campus features some of the best student writers I've ever read, writing about everything from goofy zodiac sign articles to serious examinations of mainstream feminism. The content offers something for everyone (whether they be readers or writers), but it doesn't even end there. 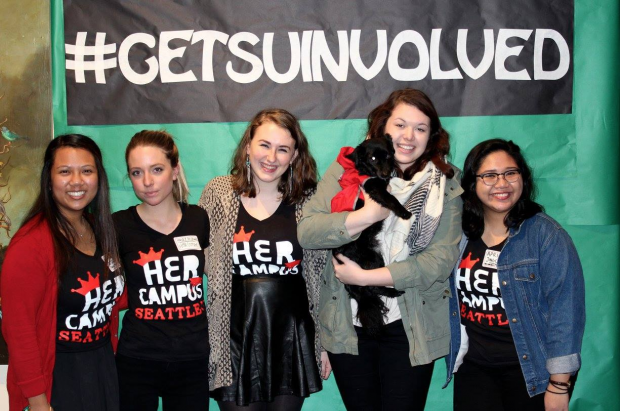 Her Campus also puts on inspiring and motivational events, such as Her Conference, and provides a space for ambitious high schoolers to get a kickstart on a journalism career. Plus, everything in their store is to die for, and their Instagram account is seriously hilarious. Her Campus gave me a reason to write again, and the pride I'd forgotten I got upon being published. I had tried to convince myself that writing essays and the occasional journal entry were fulfilling my love of writing, but that was simply not true. There's something much more satisfying in writing about something I was truly interested in, like Beyonce's involvement with the Ban Bossy campaign, that I'd been missing. There's nothing like being able to write in a fulfilling way in an encouraging and supportive environment. I also found something in Her Campus that I didn't know I needed until I found it: an amazing group of supportive young women. I'm obsessed with my truly spectacular friends, but my relationships with them are very individually-based. They don't provide me with the group dynamic of being involved in something like Her Campus. I've met some of my favorite people in Her Campus, and I love getting to know them in the group setting of meetings and bonding events. My involvement in Her Campus has grown to define me. I have gone to every single meeting (minus one or two when I've been sick) since joining, and even had the honor of being named one of the Chapter Correspondents when the two wonderful women who started the chapter graduated this winter. 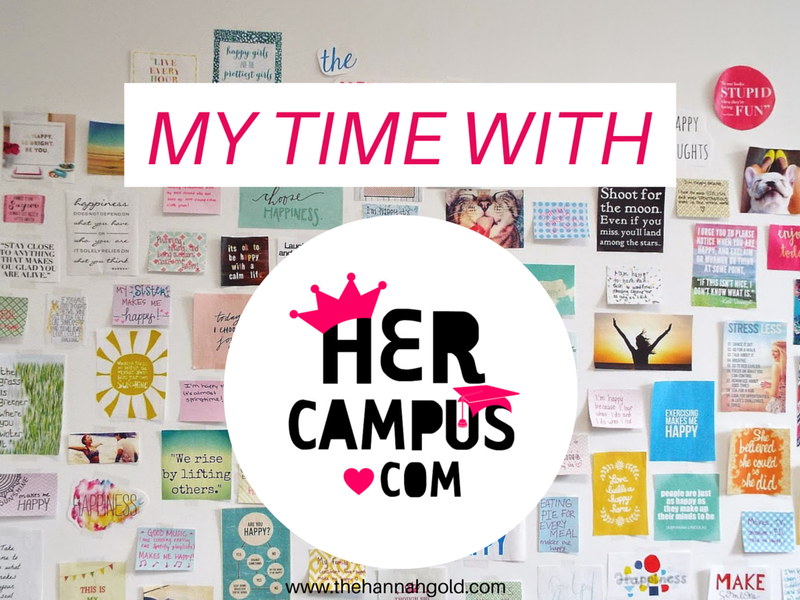 I was accepted to the Her Campus Blogging Network this year, and have been able to grow my blog significantly through it. I even took a tour of the Her Campus HQ in Boston when I was there over spring break. Writing for Her Campus made me remember just how much I love to write. Though my days of writing poetry are behind me and my novel is on hold for the time being, I've found so much happiness in writing online content. My blog has grown so much, thanks in part to the motivation I get from Her Campus. 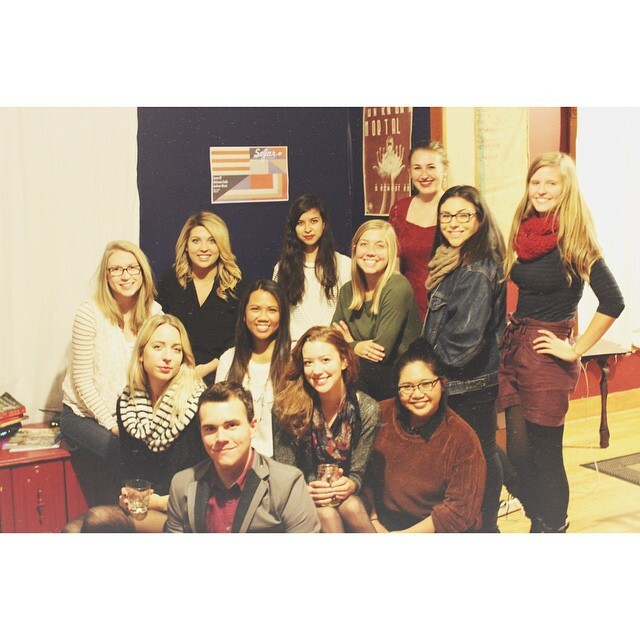 I now write for CollegeFashionista, an internship I applied to last summer when I was missing writing for Her Campus. I define myself as a writer again, and couldn't be more satisfied with that. It's been just over a year since I joined the Her Campus team, and, in many ways, not much has changed since I joined. I'm still lost but ambitious, though I'm much closer to graduating and being forced into the real world. I'm still a psych major with no interest in becoming a psychiatrist or therapist or researcher, though I've fallen more in love with the subject than I ever thought I would be. I'm still looking for my purpose in life. At the same time, though, so much has changed because I decided to write for Her Campus, and I couldn't be happier with that. Did this post inspire you to want to start a chapter of Her Campus at your school? It's so simple: just go to this page and submit an application by August 15th. 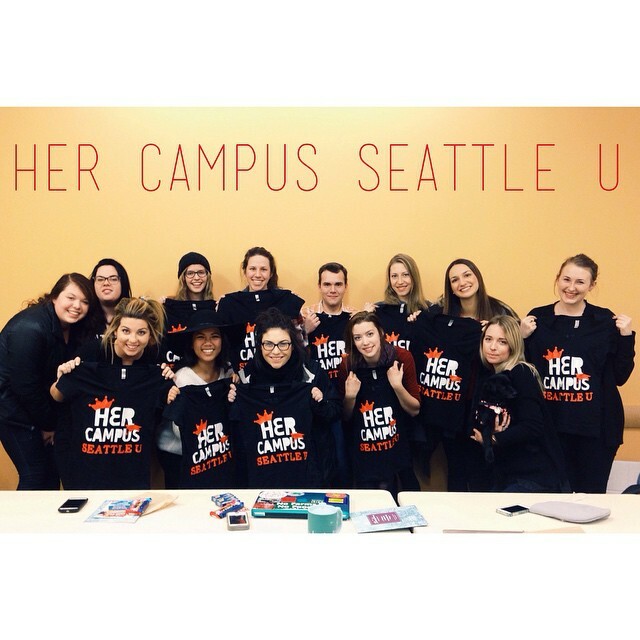 If your school already has a Her Campus chapter, you can find it by clicking on the "My Campus" button on the Her Campus homepage.